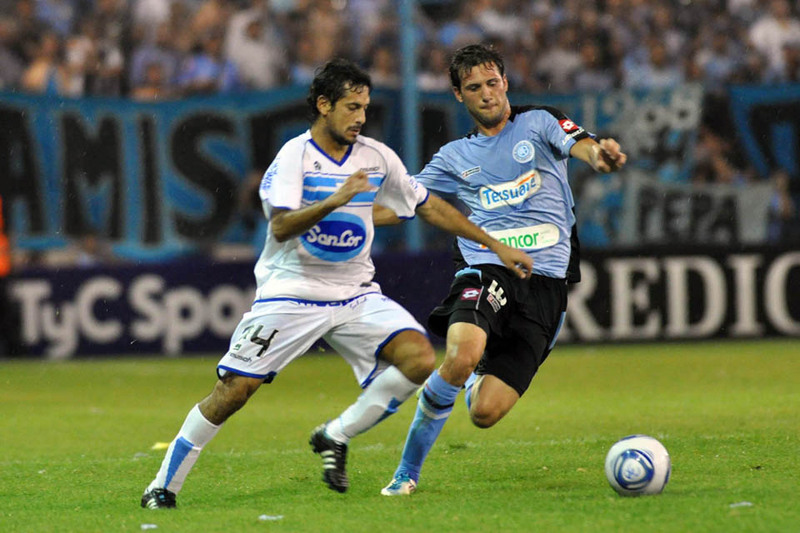 On Friday, the fourteenth round of the 2011 Torneo Apertura saw three draws from as many matches, and by three different scorelines at that; 0-0, 1-1 and 2-2. The goalless draw was between promoted sides Atlético de Rafaela and Belgrano, who are now placed second and fourth respectively as a result. That outcome means Boca will have the chance to open up a double-figure lead in the title race on Sunday even if Racing win against Argentinos Juniors on Saturday night. Olimpo and San Lorenzo drew 1-1, and in the evening’s most entertaining match (and they were all pretty good) All Boys and Independiente drew 2-2 in Floresta. All the goals are right here, along with highlights of Rafaela and Belgrano’s excellent match.